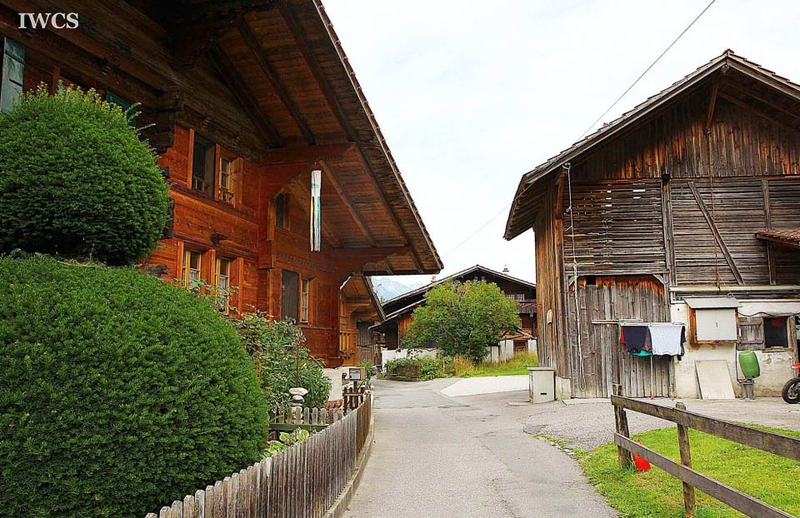 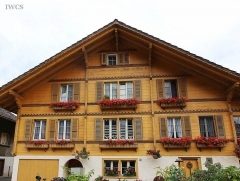 Bönigen is a small village in the canton Bern, which is located in the central Switzerland. 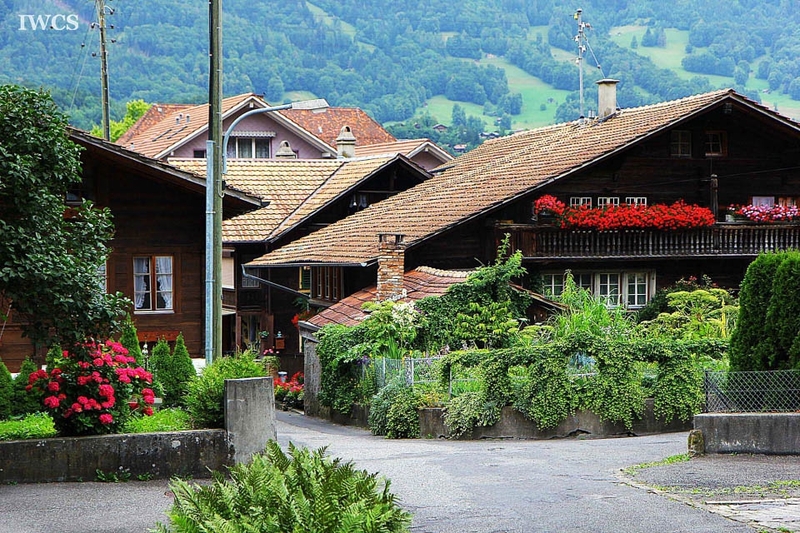 This small village has an area of 15.12 square kilometers, where steep mountains surround a large part of the area. 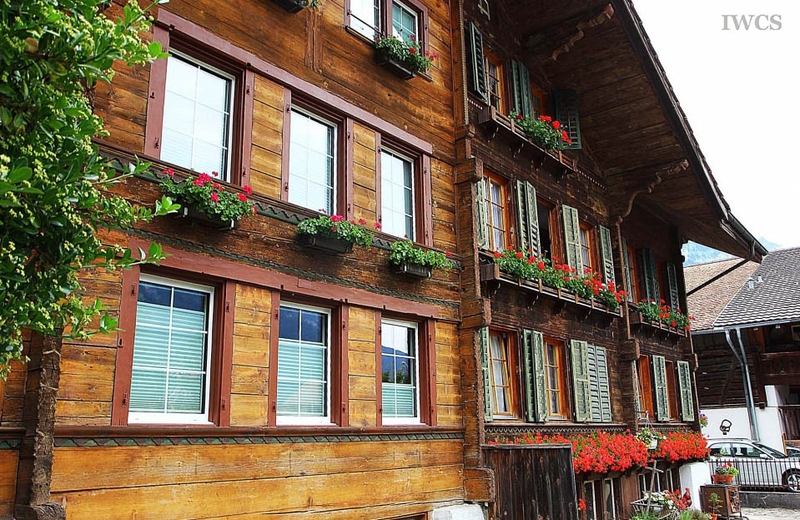 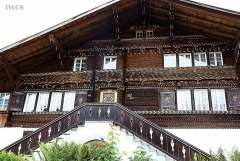 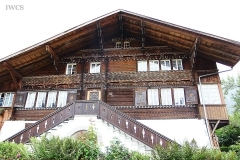 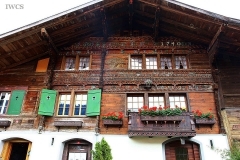 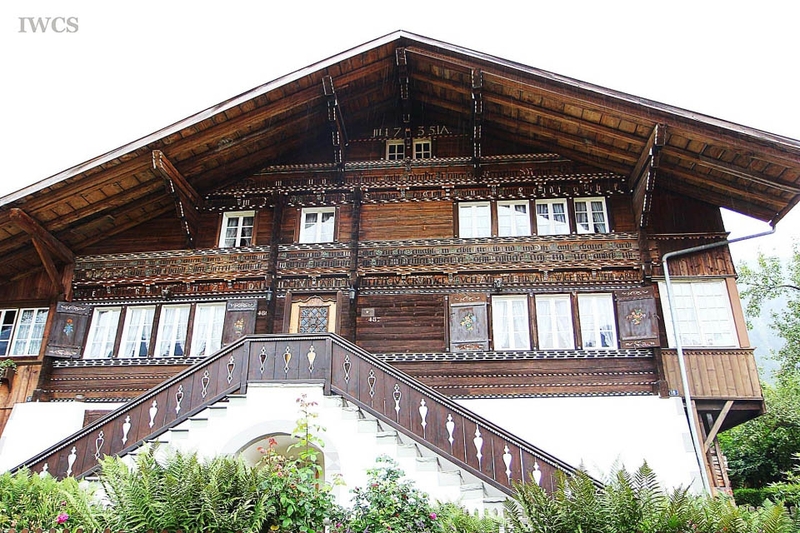 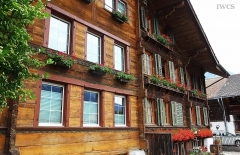 The village of Bönigen is famous for its unique decorated wooden houses. 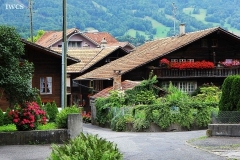 Radiating from fountain square, which is the former town center, numerous frescoed houses are scattered within the old town area. 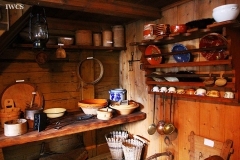 Dating from 1549 onwards, these buildings functioned as either dwelling for people or storehouse for cheese. 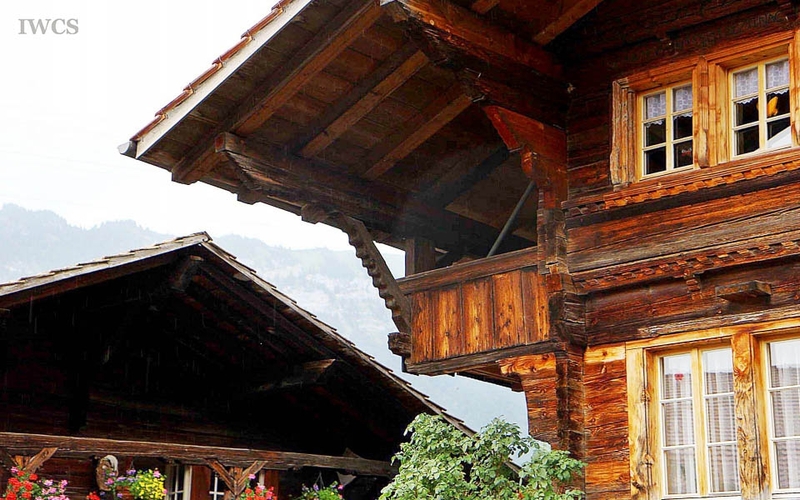 Many of these wooden dwellings had expanded to house the enlarged family. 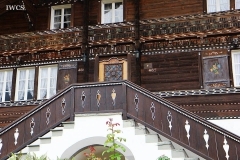 The original structure and the expanded parts of the house could be differentiated according to the doorway or color of paint. 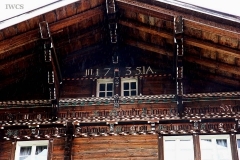 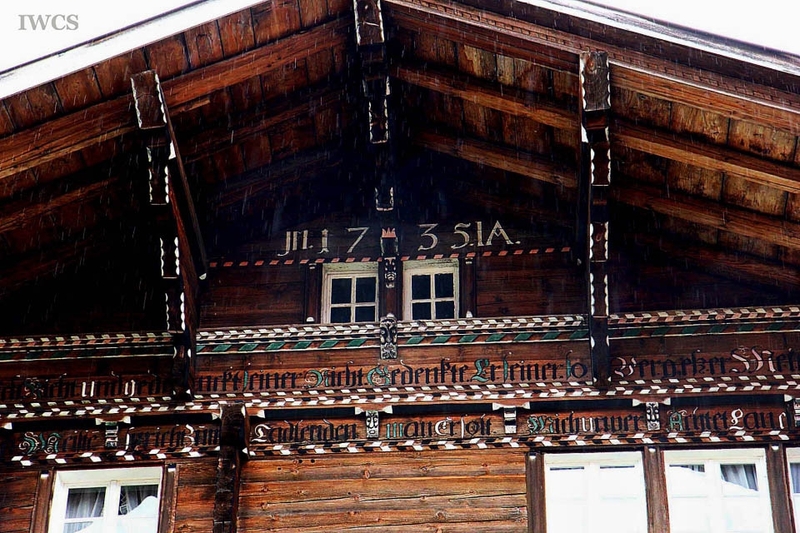 These well-preserved wooden houses in Bönigen are decorated with colorful patterns and images, plus biblical quotes in Gothic and Roman letters that inscribed on the exterior wall of the building. 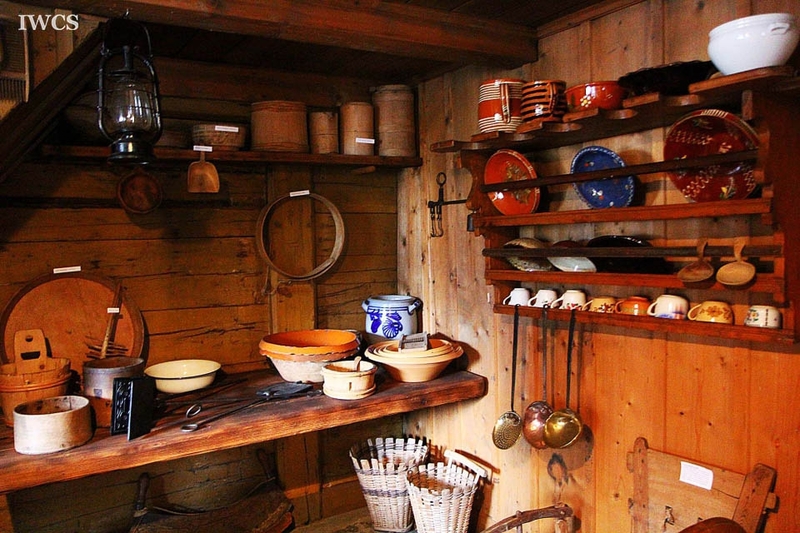 Visitors could easily perceive and understand the value of these cultural legacies.